With only 15 months to get ready for the 2020 sulphur cap, Liberia has called on the International Maritime Organization to help facilitate early reporting on the availability of compliant marine fuel. The country submitted a paper to the IMO Marine Environment Protection Committee (MEPC) urging that the report becomes available well in advance of January 1 2020, the effective date the new fuel oil must be used on board ships. 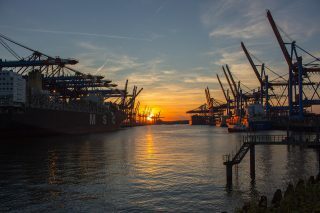 This means that states should report to IMO which of their ports and terminals have the compliant fuels available for bunkering, so shipowners are informed in time. In order to do so, IMO has established Global Integrated Shipping Information System (GISIS) through which the states can report on the fuel availability. “Shipowners and operators hold a disproportionate responsibility in meeting the challenges associated with implementation of the 0.50 percent m/m global fuel oil sulphur limit and should not need to guess where or whether compliant fuel will be available,” David Pascoe, Senior VP, Maritime Operations and Standards, Liberian International Ship & Corporate Registry (LISCR), said. Pascoe insists that smooth and effective implementation requires co-operation and compliance by all stakeholders, including states and fuel oil suppliers. “We are therefore urging IMO to issue a resolution or circular calling on states to report the availability of compliant fuel oil well in advance of 1 January 2020 to help shipowners and operators meet their responsibilities and to gain experience on the carriage and use of the new fuels on their ships, to test implementation plans, and to assist in a smooth and effective transition to the new regulatory requirements,” he added. To that end, Liberia, together with major flags and industry organizations, has submitted a paper to IMO proposing the establishment of an Experience Building Phase (EBP) to help address the safety implications and other challenges associated with 2020-compliant fuels. The potential delay to the enforcement date has been a heated topic over the recent period as owners are worried whether the compliant fuels would be available, and even so, whether the new fuel will be safe to use, taking into account the most recent issues caused by contaminated bunkers. The IMO, on the other hand, is standing its ground on the “no delay” stance. Speaking at this year’s Posidonia and SMM, the organization’s Secretary-General Kitack Lim repeated that the date of enforcement will not be changed. Following the recent media reports on the potential delay, IMO’s Edmund Hughes, said while addressing the present at the Asia Pacific Petroleum Conference there would be no delay to the sulphur cap. IMO Marine Environment Protection Committee (MEPC 73) that meets on October 22 is expected to approve ship implementation planning guidance as well as best practice guides for member and coastal states and for fuel oil suppliers. The MEPC is also expected to adopt a complementary MARPOL amendment aimed at supporting implementation of the January 1, 2020 0.50% limit. This amendment will prohibit the carriage of non-compliant fuel oil – unless the ship has a scrubber fitted.